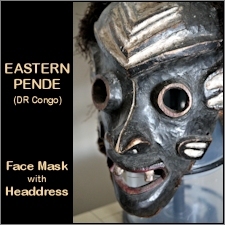 With its significant provenance -- Ex-Collection Janus Kadel -- on offer from our personal collection is this rare, old face mask with feathered headdress from the Eastern Pende peoples of the DR Congo. To eminent German artist, Janus Kadel (1936-2006), ethnic art was of keen importance & its powerful influences can be found in his creative output. 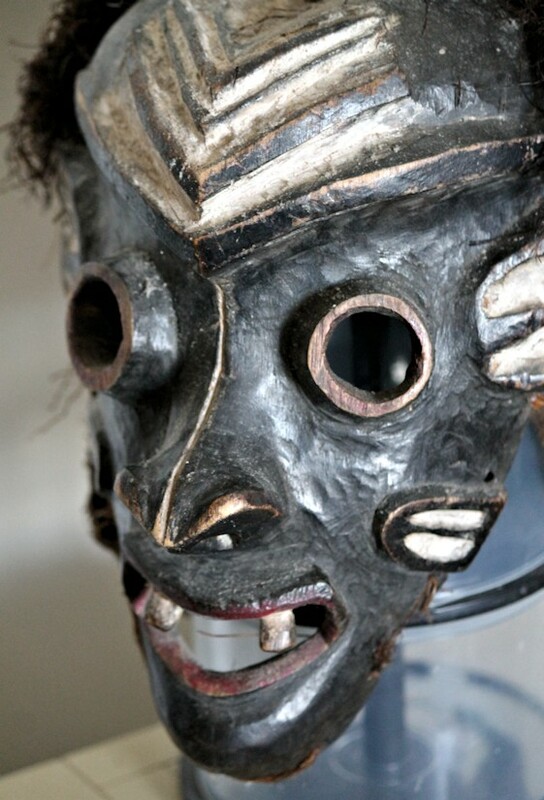 During his lifetime, he assembled an important private collection of primitive works. 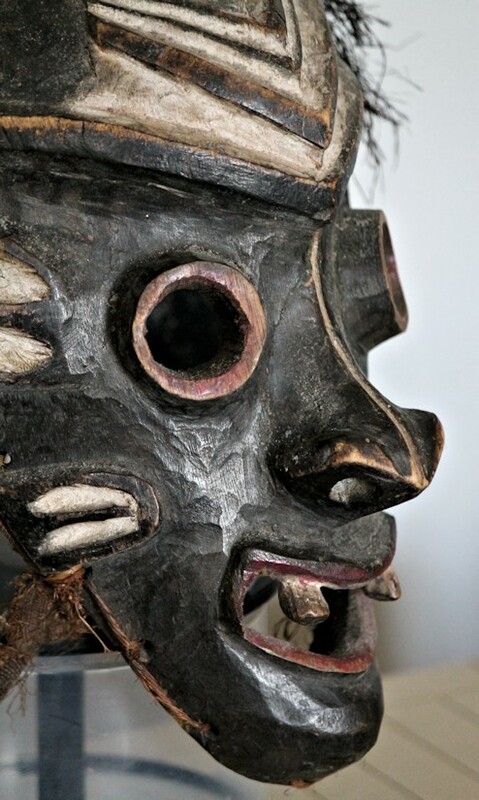 Unusual in form, the facial features of this exceptional mask reveal the carver's remarkable expertise & attention to detail -- the tubular eyes, refined structure of the nose with its flared nostrils, & open mouth with bared teeth are all executed with the utmost of skill. 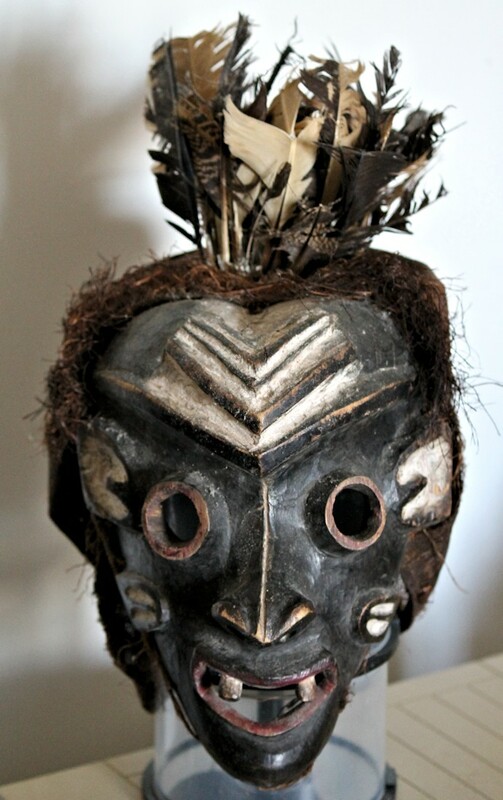 Raised scarifications highlight the brow & cheeks. Applied pigments accentuate all of these outstanding features. 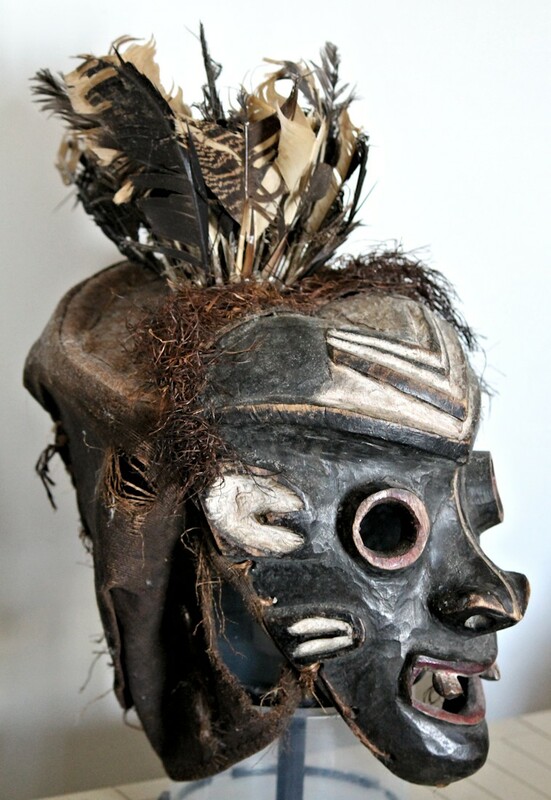 Adorning the top of the mask is a crown of brilliantly displayed feathers with raffia, attached to the fabric-covered basketry frame of the headdress. 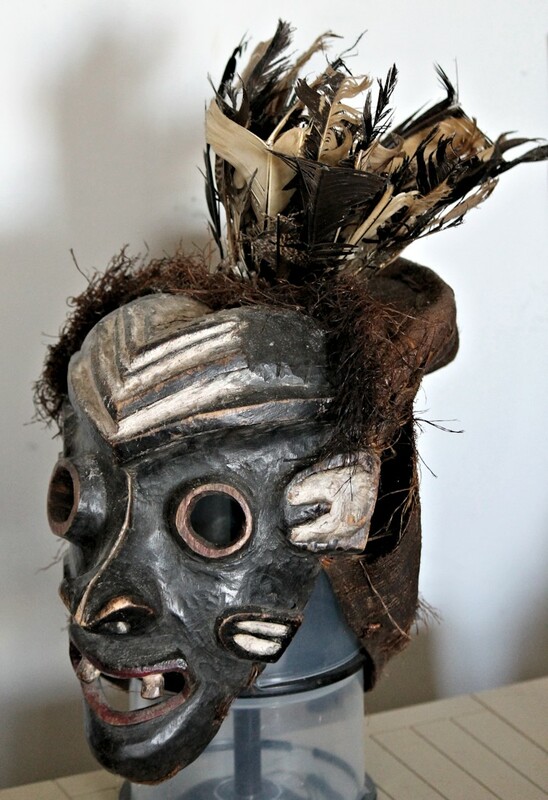 Overall condition: good; basic wear & tear, scrapes & abrasions, a chip along the mask's left rim plus a few minor chips, faded pigments, fraying & tears in the fragile fabric covering, & wear & tear to the fragile feathers. Significant age- & use-related wear. Rich patina. 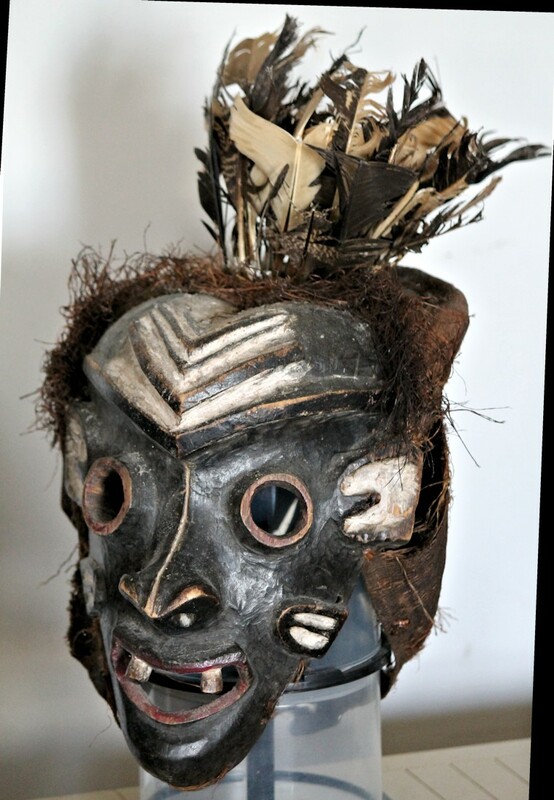 The mask makes a most haunting & powerful display, & would be a superb addition to any serious ethnographic collection.